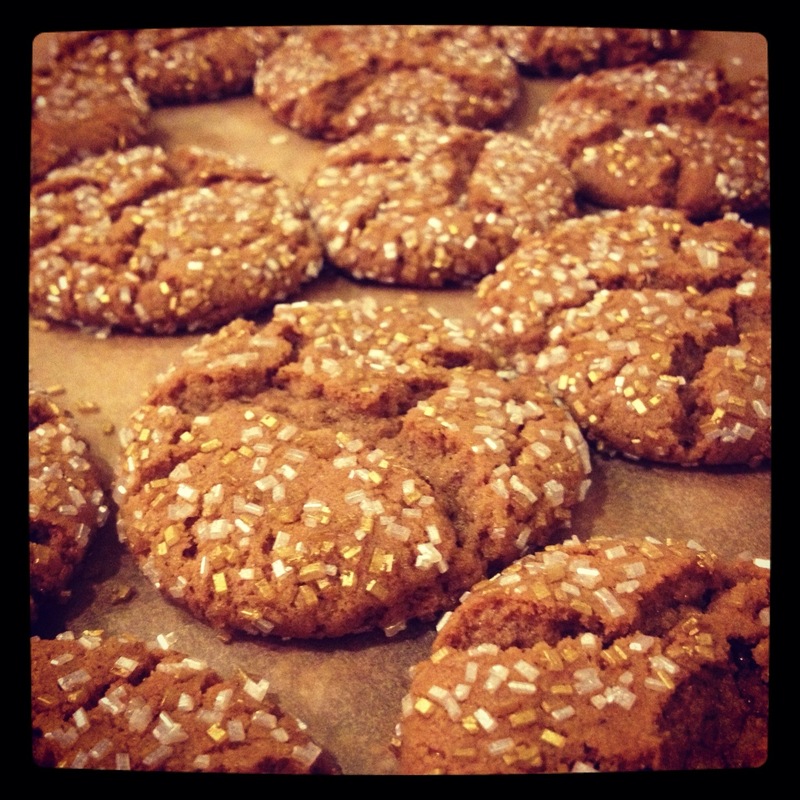 I don’t know why I think of gingersnaps as Christmas cookies – there really isn’t anything definitively holiday-like about them – yet I only ever make them this time of year. And though with the calendar-turn looming most of us are swearing off cookies (or at least cutting back), I wanted to share the best ‘snaps recipe I’ve ever come across… Just in case there’s someone out there not forgoing sweets as a New Year’s resolution. The recipe below is courtesy of Pat, my second mom, and actual mother of BFF Shannon. My only tweak is more of a suggestion… Make two batches; one to share and one to keep – they’re that delicious. Happy baking! Cream together shortening and sugar. Add egg and molasses. Sift together remaining dry ingredients and add to molasses mixture. If sticky add more flour. Roll into balls, one tablespoon/walnut size. Then roll into granulated sugar. Place on greased cookie sheet (they will flatten as they bake so allow space). S, Mom turned me on to these two weeks ago — we’ve been thru three batches since then (I found gold sugar sprinkle!). 😘 It surely is a handy gingerbread latte. Thanks Mom for sharing Dr. Oz endorsement … that MUST make ‘me good for you! These are Maggie’s most favorite cookies ever. I may have to make them for her birthday too. And they are the best with coffee/tea…that’s the consensus here at the office as well. I have to ask though…even though I do it every time I make them, does anyone NOT actually sift the flour and spices? It’s such a pain. I don’t even own a sifter, so no sifting here. What I do, though, is mix the flour and other dry ingredients in a bowl first, so the spices are evenly distributed.